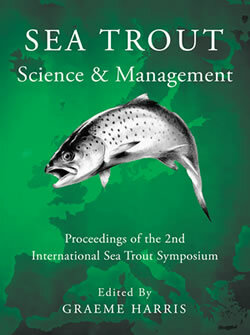 SCIENTISTS, managers, technicians and fishermen from across Europe are meeting at an international conference on declining salmonids from May 16th to May 18th in France. The SAMARCH (SAlmonid MAnagement Round the CHannel) Forum International Conference at Mont-Saint Michel Bay, Normandy will provide an update on the multimillion pound project that provides crucial evidence to strengthen the protection of salmon and sea trout at estuaries and sea. The event is being organised by Normandie Grands Migrateurs, in partnership with Bretagne Grands Migrateurs, project partners who represent Norman and Breton anglers and work to conserve its rivers and fish populations. Gaël Even Chairman of Normandie Grands Migrateurs said “Thanks to many efforts realised in fresh waters by anglers and their organizations, State services, local collectives and their financial partners, we are pleased to attend a progressive comeback of migratory fishes in coastal rivers, as it is shown by scientific monitoring realised in Normandy and Britany. Unfortunately, marine indicators are more worrying. It is the challenge of the SAMARCH program”. There are a wide range of speakers from the project’s partner organisations, including Institut National de Recherche Agronomique, Agrocampus Ouest, Environment Agency, Agence Française pour la Biodiversité, Normandie Grands Migrateurs and Bretagne Grands Migrateurs. Each day will be rounded off by some thought-provoking discussions. “Over the next five years, through collaborating with our project partners the Environment Agency in the UK and Agence Française pour la Biodiversité in France, we aim to improve the management of salmon and sea trout in Channel waters and generate new information and tools to inform current and develop new policies,” said Dylan. SAMARCH, which will run from 2017 to 2022, is 69% funded by the EU’s Interreg France (Channel) England programme which is part of the European Regional Development Fund. SAMARCH is launched against a background in which Atlantic salmon and sea trout have declined by around 70% since the 1970s. They play a major role in coastal and river ecosystems and have a considerable economic importance through angling in Europe which is estimated to be worth as much as €1.2 billion 6 a year. To view the schedule in full, click here.